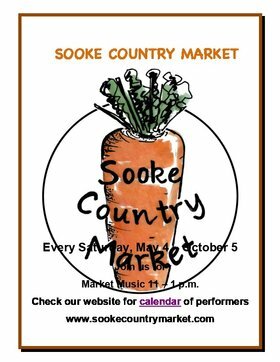 Sooke Country Market opens Saturday, May 4 at 10:00 in downtown Sooke. Energizing and dynamic local musical performers will entertain the crowds each Saturday from 11 - 1 p.m. with folk, roots, blues and country rock tunes. 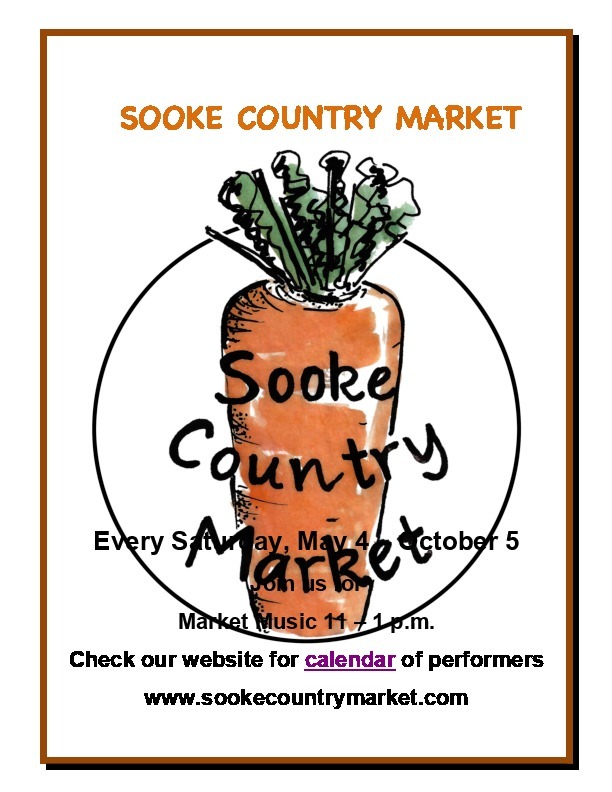 Join us at the biggest little market to shop for fresh produce, home baking, preserves, unique and original art and body products - and enjoy our free live music!